City Tours Belfast specialise in luxury coach hire. Established in 2009, City Tours Belfast service a wide and varied list of clients which include local community and voluntary groups, schools, colleges, universities, government bodies, foreign diplomats, and a number of sporting teams, along with the daily tours we operate for tourists in and from Belfast. Golf travel in Northern Ireland has really taken off in the past 10 years with home grown talent such as Rory Mcilroy and Darren Clarke making names for themselves on the world stage, Many groups and individuals want to grace the fairways the local masters shining on the world stage have mastered their crafts, With a luxury modern fleet, we provide golf transportation to cover all golf courses in Ireland and the United Kingdom, From Coaches to executive transport we can get you onto the greens. 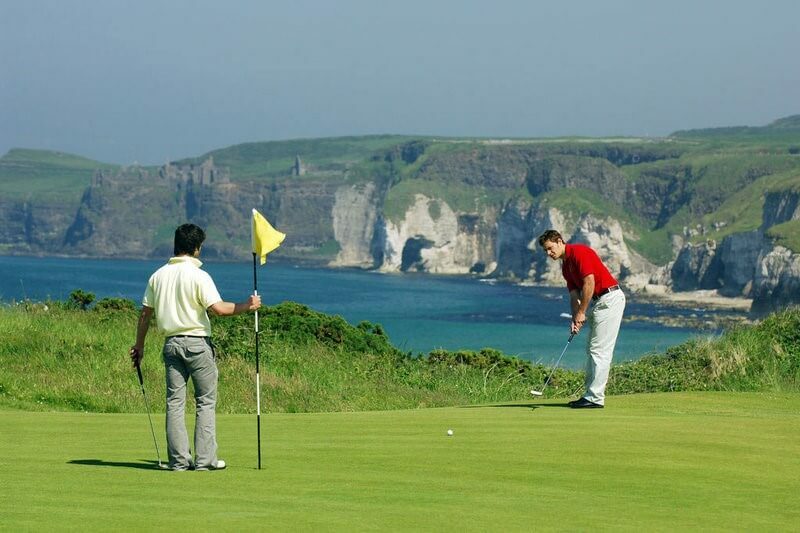 Located in Belfast we are ideally placed close to some of the world’s finest and best known golf courses. These include Royal Portrush, Portstewart, Ballyliffin, Royal County Down, the K Club and many more. We are convenient to Belfast City, Belfast International Airport, George Best Belfast City Airport, City of Derry Airport and under 2 hours from Dublin City and Dublin International Airport. City Tours Belfast provides services for many of Ireland’s incoming golf tour operators and independent travelling groups with quality chauffeur and luxury private car & coach services. We offer various sizes of vehicles to cater for small groups and for groups up to 53. Our vehicles come equipped with Air-Conditioning, tables, VIP leather seats, Professional Drivers. The drivers are themselves keen golfers and have a sound knowledge of the courses on offer.